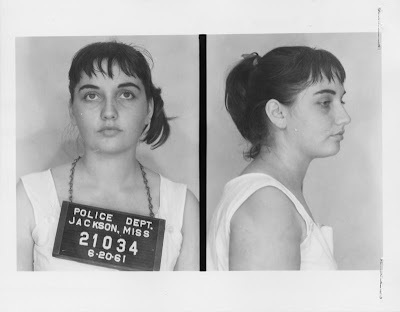 This is the 1961 arrest photo for Jorgia Siegel as a Freedom Rider in Jackson, Mississippi. After the rides, she became active with the national CORE on New York as a fund raiser and organized groups in the city to go down to the March on Washington. She eventually became a registered nurse. 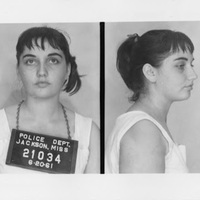 “1961 arrest photo for Jorgia Siegel as Freedom Rider,” corenyc.org, accessed April 21, 2019, http://www.corenyc.org/omeka/items/show/184.